Recently, a friend and her family camped on our homestead and spent a long weekend with us. They got to see first hand how we live without electricity and running water. She sent me a message recently with a recipe she thought that I might want to try: Smoothie Popsicles. It made me laugh so hard! I told her that they looked delicious, but I have two problems. I don’t have a blender and I can’t freeze anything! It’s hard to understand what it means to live off grid. Even someone who spent four days in my home has forgotten that I don’t have a freezer. I don’t blame her because EVERYONE has a freezer. Everyone except me. So how does my family live without refrigeration? Amish version of an ice house. We take advantage of the cold weather in the winter. We freeze bottles of ice to bring inside to use in a cooler. We had some big winter ice storms last winter. We collected a lot of that ice and kept it in coolers outside. It stayed frozen for a long time, even after the ice had melted on the ground. This coming winter, we plan to build an ice house. We will freeze bins of ice to stack floor to ceiling in an insulated building. Set into the side of this building will be an old refrigerator with a few holes punched in the back. Cold air from the ice house will go into the back of the fridge. We will put our food in the fridge part, but never open the door to the building until it is time to fill it again in the winter. There are those who have done this and the ice lasts most of the year. 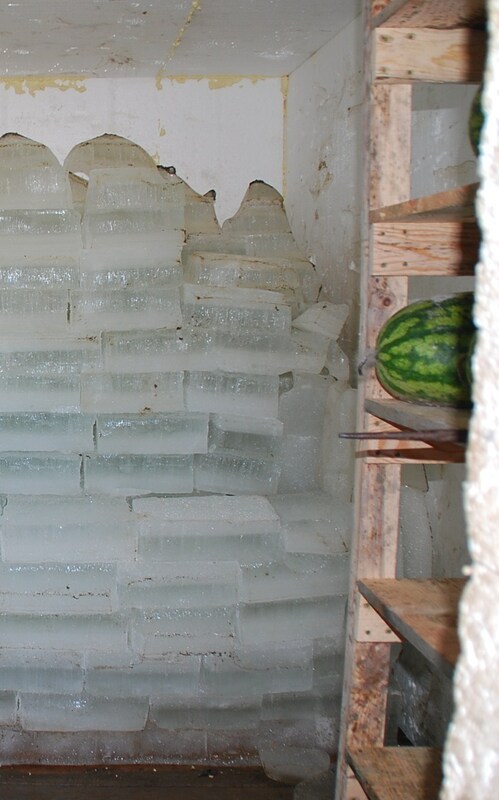 The Amish are well known for their ice houses. During the summer, we keep food cold in our 19th century well. We put our food in mason jars that can seal tight to keep the water out. Here is another use for these invaluable jars! They go into fish baskets that are lowered down into the water. I generally use this for butter and cheese that will not spoil at 55 to 60 degrees. I have been doing this now for a few months and I have not yet seen any sign of spoilage even after something has been down the well for a couple weeks. A root cellar is also a good option, but it is not possible on our property because of our high water table. It would just fill with water. We cook only what we can eat. If we have leftovers, they get eaten the following day. Americans will generally only eat foods that we believe are appropriate for certain meals. Many cultures around the world don’t tend to have certain foods for certain meals. They eat their leftovers for breakfast. The food has probably been covered, but not refrigerated. We get ice from town twice a week. This is when I’ll open a jar of something that I plan to use for a couple days. I also have the opportunity to store leftovers. When the ice starts turning to water, it’s time to finish up what is in the cooler. 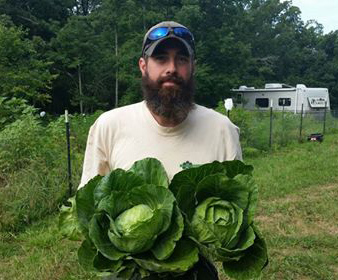 Zac with our first cabbage harvest. We eat seasonally. We don’t buy a lot of fresh produce, especially if it needs refrigeration. What we do buy gets eaten in the couple days after our shopping trip (while there is still ice left). 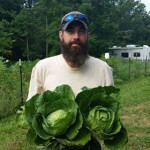 We eat the fresh produce that we grow in the spring and summer. This year, our greenhouse is done, so we will be able to extend our growing season through the fall and early winter. The winter foods we eat are what we canned during the summer, as well as root vegetables and winter squash that have a long storage life. We don’t buy meat. My husband hunts for deer during deer season. We plan to can a lot of that meat this year. When he butchers it, we have a feast that night which usually includes the tenderloin and/or the backstraps, being the most tender parts of the meat. We have also butchered our own lambs. We will be canning some of this meat too. We have our own chickens and they will soon be big enough to butcher. We will eat one at a time until they get too old and tough. At that point, we will can any that we butcher. Canned meat is the way to go when meat is too tough from an older animal. It makes the meat very tender! I have a new understanding of the time it takes for something to spoil, as well as things that don’t need to be refrigerated at all! Jam can be left on the counter and be fine for a couple days because of its high sugar content. Butter is fine at room temperature for a couple days, even in the summer. But at our house, a stick of butter doesn’t last long! Eggs do not have to be refrigerated. Even when they have previously been refrigerated at the store. We always keep them on the counter. We don’t buy milk. I never understood the race to the stores to buy bread and milk before a storm. The bread is fine (but we make that ourselves), but if you lose your power, the milk will spoil. We have friends who have a dairy cow. They give us milk from time to time. If we don’t have ice, we drink it right away. Or I make homemade pudding! When I need milk to cook or bake with, I use powdered or evaporated milk. One day we will have our own cow on our homestead. 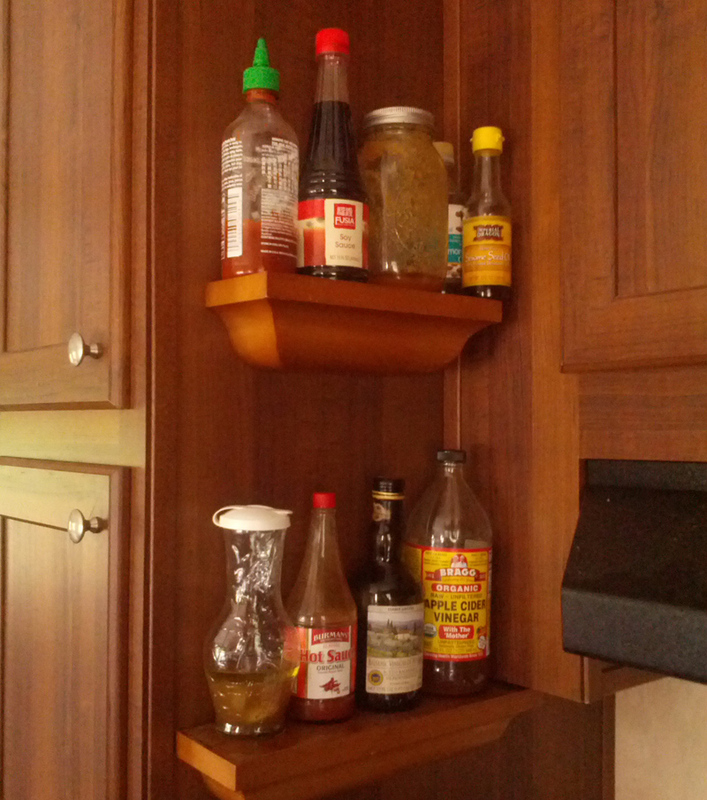 We don’t use a lot of condiments, except ones that can be kept at room temperature like soy sauce and hot sauce. 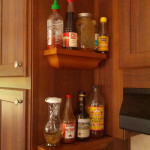 I make my own vinaigrette salad dressing, which doesn’t have to be refrigerated. When we have no other option, we have friends who live about half an hour away. They have generously allowed us space to store a freezer at their home. We keep food in there from time to time. Right now we have part of a lamb we butchered recently and some frozen green beans that we picked last week. Our pressure canner arrived a few days ago and we had to pick the beans before it got here. We couldn’t wait to can them. The beans on the bush right now will be canned. Refrigeration is one of the things that I miss most now that we live off grid. But I believe that I have learned how to function very well without it! It’s possible with a little knowledge and a self-sustaining lifestyle. Previous 5 Things You Need For Solar Energy! I have enjoyed all your off-grid ways. You motivate and encourage me. I am really interested in the ice house idea. I look forward to learning more about that when you build one. My husband and I are seriously interested in living this lifestyle. Thank you for posting such valuable information for those of us who are just learning these skills. God bless! Have U ever canned UR butter? I have and we love it…..SO simple…..
we can butter in jelly jars…..
i just found your channel on Roku! 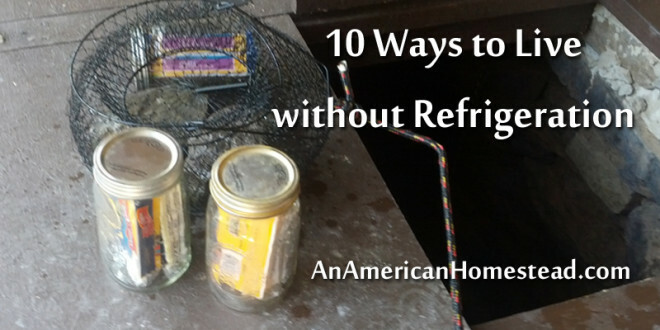 Have you considered using a kerosene absorption refrigerator? I just read your article about kerosene. I think absorption fridges are expensive but work well and last a long tim. The absorption fridge in my camper works great but uses propane or electricity. The off the griders i’ve seen running them from solar panels. Use plastic tupiware and stack them like a horizontal file cabinets. Your ice house should work fine. Maybe your friend was thinking about winter time …freezing the smoothie pops outside in the winter. That could work and be a fun treat. Instead of a cow maybe a dairy goat or sheep would work better for you. We have a LA Mancha buck and 3 does that supply us meat and more milk than we can use. We get a 1/2 gallon to 1 gallon each depending on if they are feeding their kids or of they are weaned. Since you have sheep maybe a milking breed doe would work for you. To me the milk is almost identical in taste to cows milk. Never ne-ver keep 1 goat or 1 sheep. Animals do have feelings and get Depressed. Depressed animals will fall sick and lack productivity stay small. Just that you know. This apart from the noise… ask any person that tried to keep herd animals isolated from their peers. I’d love to live without electricity and fridge, etc… I’m really trying to get to that point. Society seems to keep me in fully furnished living situations. I’ve also worried about finding a life partner and living without electricity or running water. So, it’s really neat to see a couple that is doing it and not just one lone ranger. What do you do for no running water? I live off-grid on the West Coast. Your humidity might be too high, and you don’t yet appear to have ‘running’ water yet, but you might research an evaporative cooler. I have piped water (hose near my shed/cabin), but I don’t have a cool stream or well near enough to be a convenient storage. I’m experimenting with a charcoal walled cool box for near my cabin. Jamie, Keep up the good work. I know that at times it gets hard “living the life” but it is so worth it. 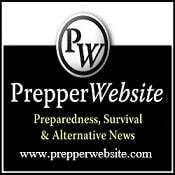 We have raised 7 kids off grid. As they slowly move on with their lives, get married and have children, they ALL look back and wish they were back on the farm and out of the rat race. We learned so much in the first 5 years… one day you will look back with wonder … “did we really do that?” It is an awesome lifestyle and I wouldn’t trade it. NEVER let anyone tell you that you are depriving yourselves or your children…..you aren’t! Good Luck.
. I found your website only recently and I realise I’m about a year out with this reply but I thought I would share how our pioneers kept their food cool during our hot weather. Rather than explaining about it, this is the link https://open.abc.net.au/explore/28913 and you can search other designs and facts about our unique items that were used when electricity is not available – even today. I had to grin to myself about the mention of flies etc. as summer brings its share of flying and crawling insects that are just part of our wonderful and unique landscape. You may not have this type of problem, but we are a pretty resilient people and over many generations we have learnt to adapt and cope. I remember seeing a meat safe (metal) swinging from a tree in my youth. Once again, this item was hoisted up a tree and the punched holes in the sides with a wet hessian bag draped over the side that the wind was coming from kept th milk and butter cool. Another item – not Australian but from Africa – called a zeer pot is another way of keeping perishable items cool/cold during the summer months! Looking forward to reading over your web pages ! You may want to look into an Irish Dexter for your milk cow. They are a triple breed cow (dairy, beef, and work oxen). They are not miniatures but are the smallest of the actual cow breed. They require less food that typical beef and their bone mass is not as big so you get more meat for the feed you have to put in them. Their milk is more easily digested because of the globulins are smaller or something. You may want to check them out though and the American Dexter Cattle Association (ADCA) is located in Missouri. Just food for thought. I think I read an article about ice houses , some time ago, in “Motherearth News Magazine “. Something to consider, even though it is not self-sufficient, is buying a small chest freezer. They average only 35 to 40 watts of electricity. It will easily run on a small solar panel system and a small inverter. Besides holding a small amount of necessities (i.e. 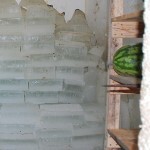 ice cream), you can freeze 1 gallon water jugs and use them in ice chests for a modern version of an ice box to keep milk and other items cold. Your children would love goats! So playful. Great at keeping weeds under control. More like pets until old enough to milk. We love goats milk! How would miniature Nubian goats do in the Ozarks? It’s hard work to do all you do. But nothing is as rewarding, refreshing, as being connected with the land and our children as was intended. I feel happiest when in my garden. I am slowly testing myself with less and less, I work full time in London and need a washing machine to keep my work uniforms clean etc… but have gotten rid of TV (10 yrs ago) no fridge or freezer. There are always going to be challenges and people that diagree with what you are doing… but the most important thing is that you are doing it for yourselves and happy with those choices. Zeerpot works well, I have tried it… im single so I can preety much buy what i need day to day after work. You are an inspiration. Good luck with your venture. You are just amazing! The thought that goes into every moment of daily living and providing for your family is just astounding. You give so many others much encouragement and valuable information. Thank you for your kind generosity!! Raw milk can be left out off refrigeration for several days or more. Yes it will start to separate and get sour but it is not bad for you, quite the opposite it is actually similar to yogurt. Growing up we routinely set out a gallon of milk on the counter until it completely separated. Curds on bottom and whey on top. Then we would strain it and the curds make an awesome soft cheese that can be mixed with fruit. We mixed it with papayas and pineapple and would eat it by the bowlful. Or it can have herbs mixed in it for a savory spread for bread. Can also be used as a cream cheese substitute in pies etc. The longer it sets out the more of a sour taste it will have but its not spoiled its fermented. The whey we would use for making bread or if there was more than we could use in the house we would mix the chicken feed with it and let it soak overnight. The chickens loved it and its high in protein. Do not do that with store bought milk though that will truly spoil. I’m loving your channel. Suggestion, can you simply build a spring house for refrigeration? You could dig to make a shallow pool or spring/creek which could keep a small building cooled,and place your jars and crocks in the water but not submerged? How cold do your winters get? 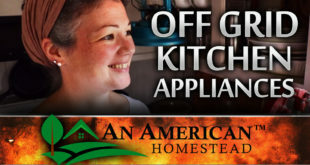 I would love to homestead, but hubby isn’t 100% on board, but we are slowly getting there! I find the claim to use no electricity very interesting since it’s clear that you do use electricity. Otherwise you would not have a freezer at someones house, a website, pictures, or the roku channel mentioned in the comments. We are not hooked to the counties electricity grid. However, we do have a solar array to provide power our freezer, phone and internet. 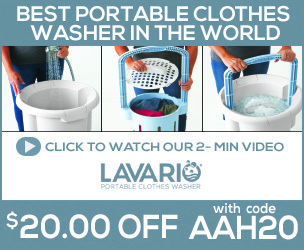 There is not enough power for washing machine, refrigerator or lights. We also have a generator for power tools and charging batteries on cloudy days. Milk-dehydrated like Nido, will last a long time and tastes good. Meat-Don’t eat meat unless you hunt it, and butcher it and can it like these folks do. Participating in the industrial raising of slaughter of animals is immoral and unethical and unsustainable. We could feed the world twenty times over if we moved away from industrial meat. Try Butler soy curls sometime, they are shelf stable and taste great in stir frys and fajitias. You can make them taste like anything-chicken or beef or pork with the right seasonings. Survival foods like Thrive or Honeyville are not your fathers dehydrated foods. They are decent tasting, retain 97% nutritional value and leave ZERO waste. Have you considered drying meat to make biltong or jerky? Very little has to be preserved. Much FRUIT, VEGIES & OTHER FOODS SURVIVE WELL – some much longer than many – without cans, fridge, preservatives, salt or ice, etc like: Pumpkin – eggs – citrus – any fruit after cutting or whole stored in water even berries – apples – mushrooms – onions – coconut – varieties of greens in water that you also grow – grains, cereals, nuts, seeds, legumes, lentils, peas & beans – potatoes & root vegies preferably kept buried under soil on a tray + greens on top of their root vegies – peanut butter – marg & butter – skimmed milk powder, cheese – processed meat & sausages – sweeteners, honey, jam – oils – herbs – most medicines – solar dried – etc. the pressure rose slightly, & months later ate all those delicious sausages! Hi! Great website!I just wanted to say that catsup can be left out. When I worked as a waitress years ago for Bridgeman’s Ice cream parlor and restaurant, we left out the catsup on the table with no Iproblems. Mustard isn’t the ssme…according to the epidemiologists I once worked with, leaving mustard out can cause sickness. Do you make your own mayo? Looking for a recipe to make my own. Thanks! When I was a kid my aunt and uncle had a root cellar that was only dug down a few feet, then they built a framework than buried that with a Mound of dirt and it worked very nicely. This was a farm that was used through the depression era.